This haggis products evaluation on 1st November 2018 is sponsored by Dalziel Ltd.. Entries are open now and close on Friday 19th October. 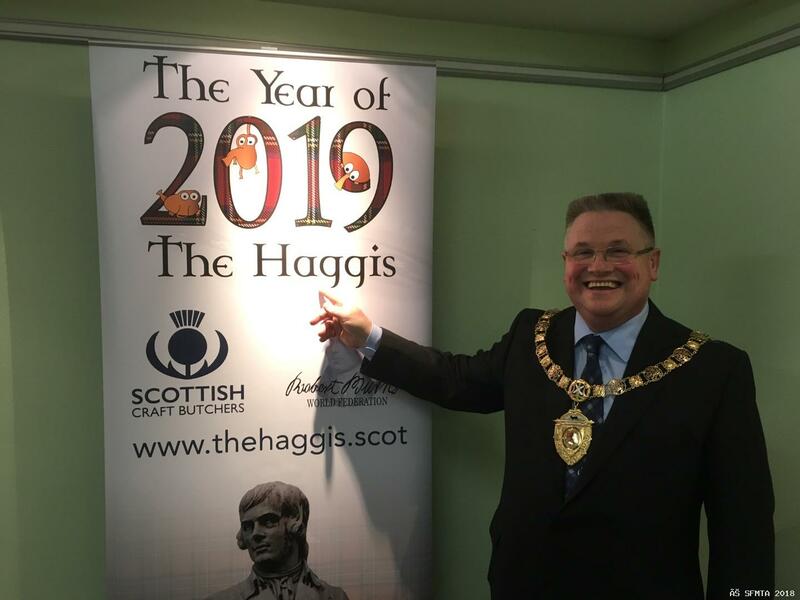 As part of the celebration of 2019 as the Year of the Haggis as designated by the Robert Burns World Federation, an evaluation will be held for any food product that contains haggis. This evaluation is for products containing haggis. This will serve to demonstrate the versatility of haggis in all sorts of dishes. The event will be held at Forth Valley College, Stirling Campus, Drip Road, Stirling, FK8 1SE on Thursday 1st November 2018 and the certificates will be posted out to winners with results announced on Facebook and on sfmta website on 6th January 2019. Haggis neeps and tatties ready meal etc will not win any prizes in this competition. Here we are looking for the inventiveness of Scotland’s haggis makers to come forward with a novel product that can be made and sold by butchers. Prestigious certificates will be awarded for you to display proudly in your shop if your product is deemed worthy of an award. There will be one Diamond winner for the product judged to be the very best. Entry fee for these awards is £15 + VAT per product. How it works is that each product starts off with 100 points, the Haggis Product is then judged by the criteria set out in the judging sheet for innovation, texture, appearance, flavour and palatability with points deducted as appropriate. The scoring will be as follows: 90 points and above are GOLD, and 80 to 89 points are SILVER. On the day the highest scoring GOLDS are judged for the DIAMOND. We will produce a press release and send it with your picture to your local paper. 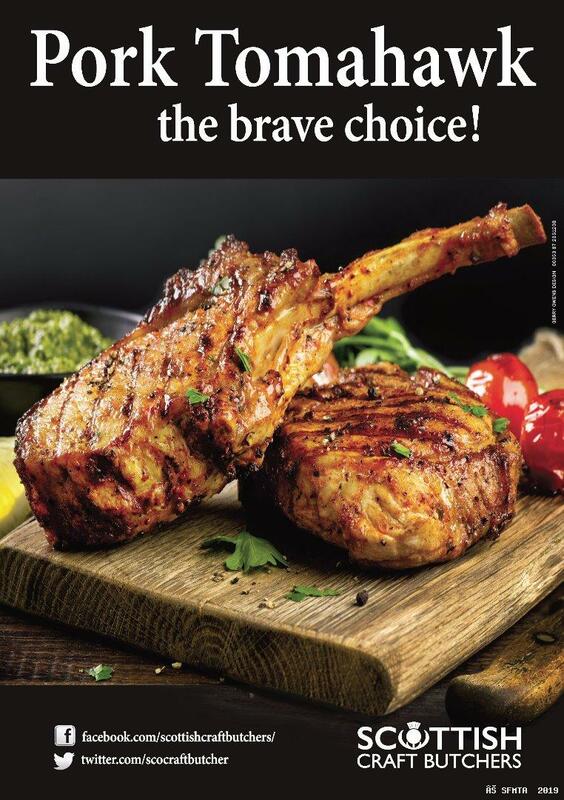 We cannot guarantee they will run the story but you will be able to contact them directly to see if they will run it or maybe invite them to your shop for a tasting of your winning product. To have your chance of winning you’ve got to enter. SFMTA, 8 Needless Road, Perth, PH2 0JW. Please return the registration form no later than Friday 19th October. The Evaluation will take place at Forth Valley College, Stirling Campus, Drip Road, Stirling, FK8 1SE on Thursday 1st November 2018. Products should be delivered to the Forth Valley College on Thursday 1st November between 9.30 am and 4.00 pm. Or alternatively collection points have been set up at the following locations. Anyone wishing to use these must have their products delivered to them by 11.00 am. on Thursday 1st November.